The country mulls acquiring drones following the easing of US restrictions. The Philippines is eying U.S. drones following the recent policy shift by the Obama administration to ease restrictions on their export and sale, local media reported February 18. According to ABS-CBN News, military spokesman Colonel Restituto Padilla said that the while Philippines did not want armed drones, it would be interested in drones that could be used for intelligence and surveillance operations. Meanwhile, BusinessWorld, a leading Philippine business newspaper, reported that Harold M. Cabunoc, a spokesman for the Armed Forces of the Philippines, said that while the drones would indeed give the military “an edge in information gathering and in armed confrontations,” the country’s interest is primarily in their potential for humanitarian assistance and disaster relief (HADR). National Defense Public Affairs Service Chief Arsenio R. Andalong also confirmed to BusinessWorld that the military’s primary interest in acquiring drones would be for HADR operations. 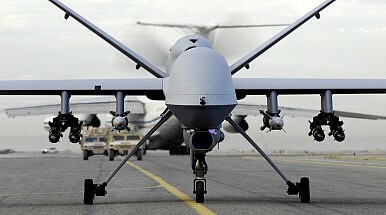 “In general, drones will certainly enhance any country’s defense posture. In our case, however, their potential contribution to HADR is probably more important,” Andolong said. “Our planners would first have to assess the technology’s efficiency and the effectiveness vis-à-vis our capabilities,” he added. The use of U.S. drones in the Philippines is not without controversy. While the two allies inked an Enhanced Defense Cooperation Agreement last year to boost military ties, some voices continue to oppose strengthening links in this dimension. Some Philippine legislators have expressed alarm at the discovery and alleged use of U.S. drones in Philippine operations over the past few years, which they say undermine Philippine sovereignty. There have also been some media reports suggesting that U.S. drones were involved in the lead-up to a controversial January 25 Philippine police operation to get Malaysian terrorist and bomb expert Zulkifli bin Hir – more popularly known as Marwan – who was on the Federal Bureau of Investigation’s (FBI) most wanted list. As The Diplomat reported previously, though evidence suggests the operation ended up killing Marwan, it resulted in one of the largest single day losses for the Philippine police in the nation’s history and has threatened to undermine a historic peace deal between the government and Muslim rebels. Aircraft will be a much-needed and long overdue shot in the arm for Manila. Philippines to Revive Former US Naval Base Near South China Sea in 2016What’s Next for US-Philippine Military Ties? Australia Eyes US Drones Philippines Blasts China on South China Sea Reclamation WorkWill the Philippines Navy Attack Crafts Get More Israel Missiles?